As the final Cultural Exchange Armando Iannucci chooses the Woody Allen film Stardust Memories. Also there are BBC archive interviews with Woody Allen and Armando Iannucci. 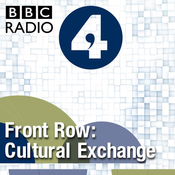 Plus, as a bonus, presenters Mark Lawson and John Wilson also reveal their picks for the Cultural Exchange. Riz Ahmed chooses the video game Street Fighter II, which was released in arcades in 1991. Plus related clips from the BBC archive, including rapper Bashy joins 1Xtra's J.M.E for a Street Fighter II battle, interviews with games writers Naomi Alderman and Rhianna Pratchett, games designer Paul Bennun and composer Joris De Man. Also Riz Ahmed himself talks Trevor Nelson about his starring role in The Reluctant Fundamentalist. C J Sansom - author of the historical crime series Shardlake – picks the first incarnation of the Doctor in the Doctor Who, William Hartnell. Plus archive interviews with Verity Lambert, Tom Baker and William Hartnell's granddaughter Jessica Carney. Michael Grandage chooses a poem by WS Graham called Dear Bryan Wynter. Plus BBC archive featuring WS Graham, Peter Lanyon and Mark Rothko. Josie Rourke chooses the 1987 film Broadcast News. 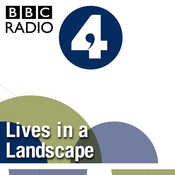 Plus BBC archive interviews with actress Holly Hunter and director James L Brooks.